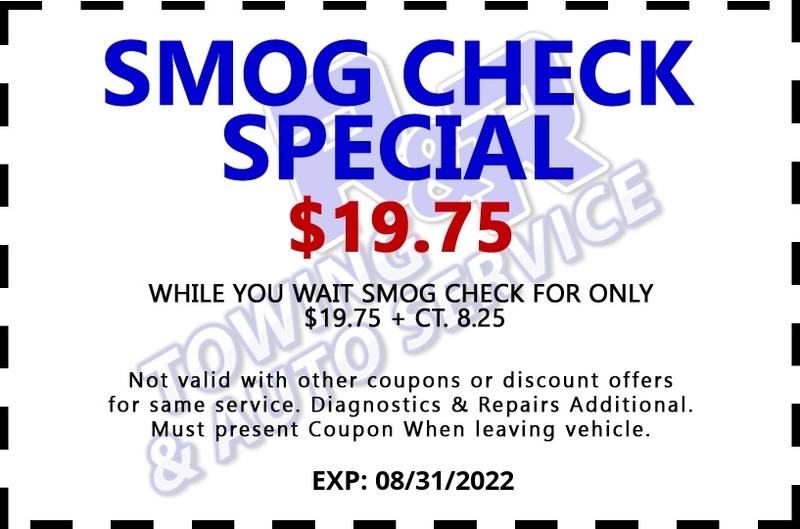 R&R Auto Service is an official smog center. 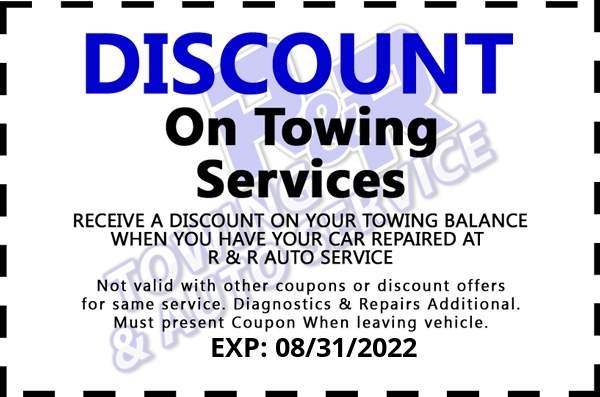 Your car will be checked while you wait-no appointment necessary. Q: Do I need a smog test? Not all vehicles need a smog check. Some vehicles need a smog check when they are being sold or registered in California after previously being registered in another state. Also, the type of vehicle, the model year, and the area in which the vehicle is registered determines a smog check. Q: What kind of test do I need? The smog check program divides the state into three different types of areas depending on the severity of the smog problem in that area. These areas -- enhanced, basic, and change-of-ownership areas -- may require different smog check inspection equipment, and different licenses. The area in which a vehicle is registered will determine which type of test a vehicle needs. Q: How can I prepare for a smog check? Performing recommended maintenance is a major factor in how well your car holds up. Lack of maintenance almost always results in bigger problems down the road. When you bring your car in for the first time, R&R's technicians will enter all your pertinent automotive data into their top-of-the line computer system supported by All Data, the latest in auto repair software. 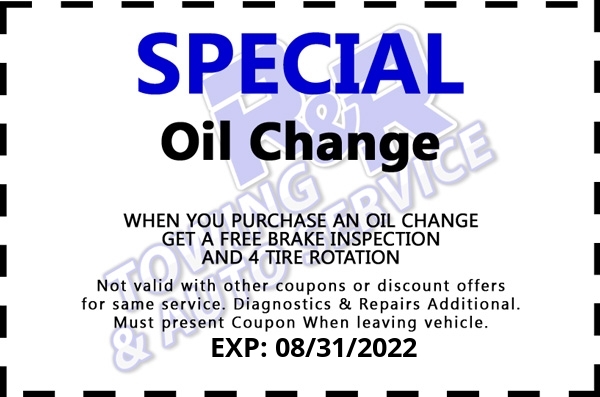 That will keep them apprised of your regular maintenance schedule so that the mechanic knows exactly what to look for and check on. Cars are becoming increasingly dependent on computerization as technology advances. This has done two things to the industry. First, it has improved the performance level of the vehicle. Second, it has increased the amount of knowledge and training necessary to maintain mechanical integrity. We want you to have specialized care! On modern vehicles equipped with electronic ignition, fuel injection and computer controls, the term “engine performance maintenance” is a more accurate term. A “tune-up” for these newer vehicles is an orderly process of inspection, computer diagnosis, testing and adjustment to maintain peak engine performance, maximum operating efficiency and low exhaust emissions. During this process, spark plugs, plug wires, sensors, and modules may be replaced. The frequency at which a newer vehicle needs a tune-up is dependent more upon driving conditions than mileage and recommended tune-up frequencies vary between 30,000 – 100,000 miles, depending on the manufacturer. To learn how often your vehicle needs a tune-up, check your owner’s manual, contact the dealer, or speak with your local automotive service provider. By-the-book service, however, may not be adequate if your vehicle is driven hard, tows a trailer, goes off-road or carries a camper. Under these conditions, the fluid and filter may need to be changed more often -- every 12 months or 12,000 miles --because dirt and moisture buildup in the fluid can cause internal damage. Heat buildup can also be a problem. The harder the transmission works, the hotter the fluid gets and the quicker the fluid breaks down. To find out the recommended service schedule for your vehicle’s transmission, check the owner’s manual or talk with your local automotive service provider.